Chengwei Liu is an Associate Professor of Strategy and Behavioural Science at Warwick Business School, UK. He is a Cambridge trained PhD who held a fellowship position at Jesus College Oxford. 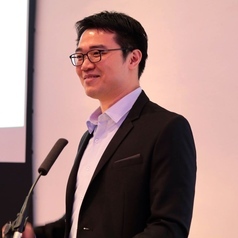 Chengwei's research programme addresses a fundamental question in strategy, innovation and entrepreneurship: should successes be attributed to skill or luck? His research (luckily) won several awards and are published in management and interdisciplinary journals such as Organization Science and PNAS, gaining media coverage worldwide in the New York Times, Financial Times, and BBC. Chengwei has also won multiple research grants and teaching awards.